Do you have large properties that you struggle to keep clean? 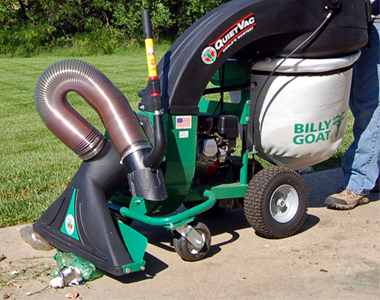 This Billy Goat QV900HSP Litter Vacuum eats up debris and litter like a hungry monster with a powerful 270cc easy-starting Honda engine. This Litter vacuum is labeled the quietest in its class with 97 LWa and 77 dBa at full RPM so you never have to sacrifice power for noise. Stop wrestling with handheld machines and let this Billy Goat QV900HSP drive you with the self-propelled infinite speeds ranging from 0-3 mph to quickly navigate through tight areas with ease and efficiency. Powerful suction is provided with the 6 blade impeller designed to eat up and swallow stubborn debris into the 36 gallon zipperless bag. Fill the 36 gallon dump bag before using the 4-latch unloading system for no hassle dumping and reduced back pain. 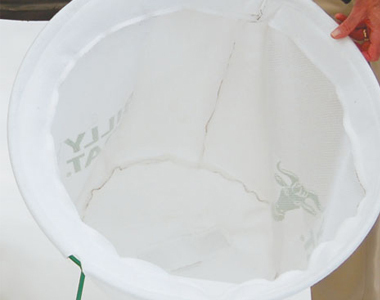 Also, a unique cyclonic filtration system creates a low pressure in the center of the bag as debris spins around the cyclone to eliminate dust in the working environment. Powerful Honda Engine: Maximum suction power is available with the 270cc easy starting Honda engine. Self-Propelled Drive System: Demanding applications are no match for the self-propelled drive system that offers variable infinite speeds in both forward and reverse, easily accessible from the operator’s position for shift-on-the-fly transmissions. 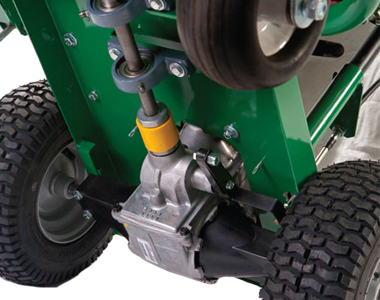 Quickly navigate tight areas with ease and efficiency. 33 inch Powerful Suction: Combining the spiral filtration system, the powerful engine, and fan system, you won’t find better suction on the litter vacuum market. Cover areas quickly with speed while adjusting the suction height from 1/2 to 3 inches for different vacuuming needs. Unique Cyclonic Filtration System: This unique cyclonic air filtration slows air as it spins around the cyclone to create a low pressure center in the bag for dramatically reducing dust in dry conditions so that your operator area stays clean and dirt-free. 6 Blade Impeller: The 6-blade impeller chops up cans, bottles, litter, mulch, and other debris to be sent to the zipperless bag to maximize suction power and pick up even the most stubborn debris. 4 Latch Zipperless Bag: Fill the large capacity bag up to 36 gallons for minimal dumping. Bag handling and unloading is a simple task, eliminating zippers, and fasteners, simply unlatch all 4 latches, lower, and slide out the back. Then repeat to close for no hassle dumping. Worlds Quietest Vacuum: There is no need to reduce productivity and lower RPM’s just for a quieter operation. Featuring the lowest dB in its class, you can operate with noise as low as 97 LWa and 77dBa at full RPM and 96 LWa, and 76dBa at 2800 for the worlds quietest vacuum in its class. Dust Skirt: Directs dust away from the operator for a clean working environment. Perfect For: schools, campuses, hospitals, hotels, parks, churches, airport pedestrian areas, resorts, city, streets, sidewalks, and more. Warranty: Feel reassured while vacuuming your lawn with the 1 year machine warranty and 3 year honda warranty. Great unit. Does an awesome job vacuuming our barn. Sometimes it's just a little hard to start. Other than that it's fantastic. Excellent piece of machinery! Quiet and almost completely dust free!!!! 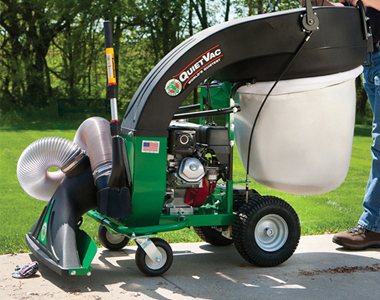 Ask us about the Billy Goat QV900HSP 270cc (Honda) Industrial Self-Propelled Leaf & Litter Vacuum (w/ QuietVac). Please no repair questions. Your Q&A may be posted to MowersAtJacks.com to help other shoppers, like you, with their purchasing decisions. Thank you. Bill, yes there is a secondary dust "sock" part# 831282 that is sold separately. I've added it as an option to the QV900HSP. 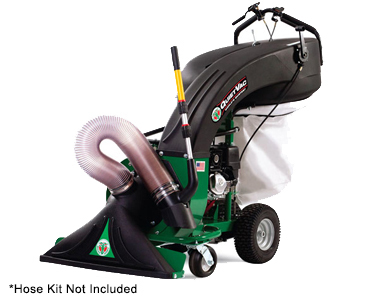 Add options now for your Billy Goat QV900HSP - Litter Vacuum at a 1 time discounted price. When you are ready to check out, just click the ADD TO CART button. Description: Use this QV hose kit to reach in places the vacuum can’t get to. A hand extension is also available for small, compact places. Can be used on all the QV vacuums.